In 1887, four brothers stumbled across the brutalized body of a young woman in Rahway, New Jersey. Shortly after dawn on March 26, 1887, four brothers made a gruesome discovery. Alfred, Frank, Thomas, and Irving Worth were on their way to work at Bloodgood’s Mills when they came across the body of a young woman in Rahway, New Jersey. She was frozen into the ground, and her throat had been slashed in two places, nearly from ear to ear. Both of her hands had been lacerated. Her head, buried deep into the icy mud, had been mangled and bruised, and was surrounded by a pool of blood almost three inches deep. The Worth brothers promptly raced away to alert the police. Want more true crime? Sign up for The Lineup’s newsletter, and get the strangest cases delivered straight to your inbox. Police Chief William Tooker wasted no time in documenting the crime scene. The woman, he observed, had clearly been murdered. She had blue eyes and brown hair, and looked to be in her early 20s. Her clothes were of good quality, suggesting some measure of wealth. She was wearing a dark green cashmere dress, in a classic Victorian style, with a green feathered trim, as well as brown kid gloves, and expensive shoes. Other clothing nearby included a fur cape, which had been torn apart; a black straw hat with red velvet trimmings and a black dotted veil; and a breast pin. There were also footprints around her body. Some of the prints were attributed to the victim, but others were of a man’s size eight boot (or shoe). 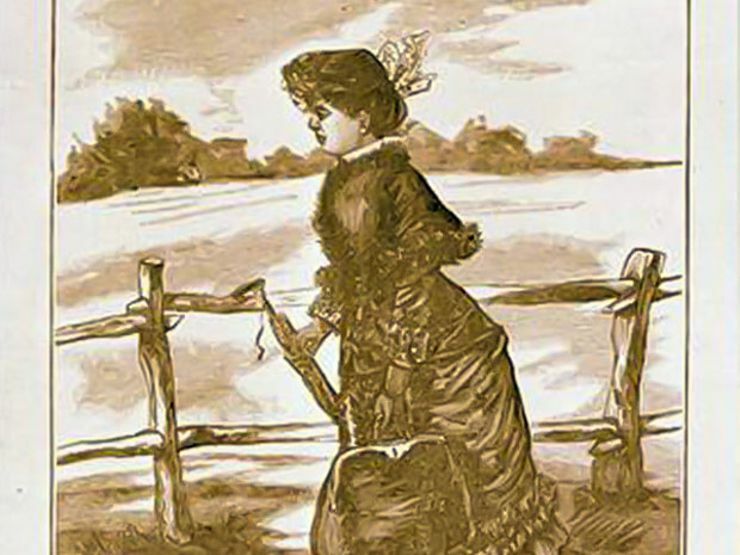 The prints suggested that the man and woman had come from opposite directions before meeting. The male footprints could only be tracked to a crowded thoroughfare, where they then disappeared. Wagon wheel tracks were additionally noted. While Tooker continued to examine the corpse, another officer had gone to collect more evidence in the area. He returned with an odd assortment of items collected near the river. A basket containing nine eggs had been found; all but three had been broken. The officer found even more evidence on the other side of a fence: a bloodied penknife with a turquoise handle. And still more was found in a stream about 600 feet away from the body: a small black bag containing a pair of woman’s underwear, a newspaper, and an old pair of suspenders. There was, supposedly, a man named Timothy Byrne in the area at the time, who had been looking at incubators for the purpose of opening a hennery. Could the man’s footprints, as well as the basket full of eggs, have belonged to Byrne? Well, perhaps, but police never managed to track down the elusive Byrne, nor account for his whereabouts or actions before or after the murder took place. After an extensive search for Byrne turned up nothing, the once-promising lead was eventually, and unfortunately, abandoned. The town of Rahway was thrust into the national spotlight in the wake of the crime. Images of the murdered woman splashed across every newspaper and crime magazine in the country. Amateur and professional sleuths alike tried their hand at solving the mystery. Hundreds of people filed past the body at Ryno’s Morgue, but no one could provide identification. 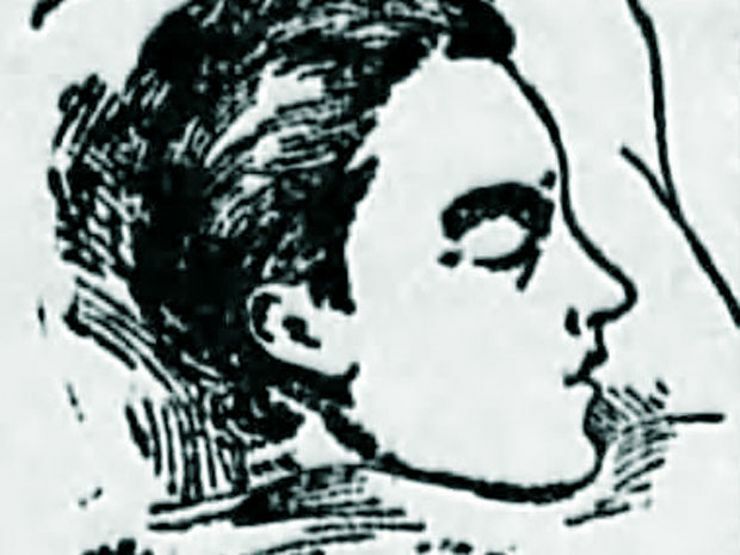 Photos of the corpse were even exhibited at the 1887 Chicago World’s Fair, and in the April 1887 Police Gazette with an offer of $250 for information. The investigating jury met four times, speaking with doctors who had examined the body in hopes of finding new clues. Robbery was dismissed as a motive, since none of the victim’s jewelry had been taken. A juryman named Mark Keefe claimed to have seen the victim’s basket in Baker’s Grocery Store a month before the crime, and said that Mrs. Baker had repaired the lid. The police summoned Billie Byrnes, who worked at the grocery store, for questioning. She denied the story, and was released. With nothing more than Keefe’s claims to go on, this trail too went cold. Aged About Twenty-Five Years old. Six reporters from New York, who had been covering the story, served as pallbearers. The body was actually taken back to the morgue after the service, in a last ditch effort for identification. Then, on May 2, 1887, the woman was finally buried beneath a small tree in Rahway Cemetery. Because her “virtue” was uncertain, she was interred a considerable distance from family plots. The saga seemed to have come to a close. Then, just a month later, in Salem, Illinois, a man named Kasper Shumbeck confessed to murdering the young woman. Shumbeck had been conversing with another man, Robert Bowman, and told Bowman: “I did something bad in New Jersey and it bothers me, almost to death.” Bowman alerted the authorities. Shumbeck was jailed, and wrote a confession, stating that he murdered a young girl about 17 years of age named Clairy, with the help of a friend. Shumbeck further explained that they had met the girl outside of town, and killed her by the roadside—the friend striking her with a club, and Shumbeck cutting her throat with a pocketknife. The confession was made to J.W. 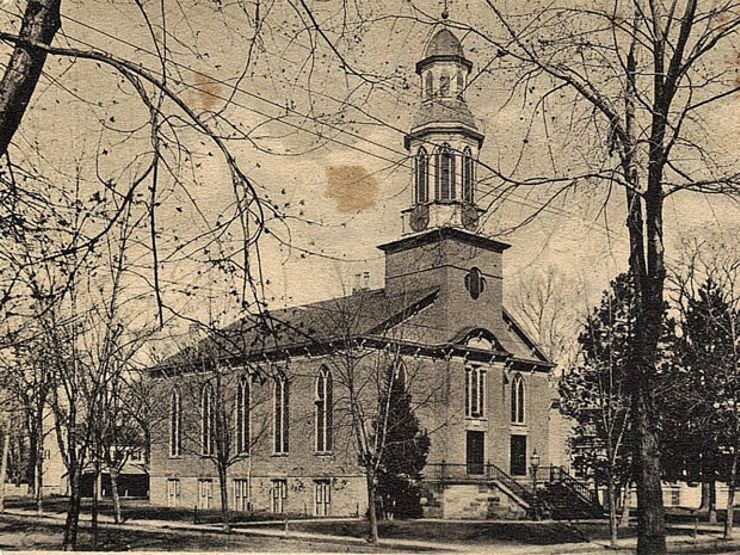 Conley, a constable of the county of Marion and the State of Illinois. However, after Shumbeck was sent back to Rahway for several days of intense questioning, his confession was deemed to be fraudulent. He was not charged with the murder. 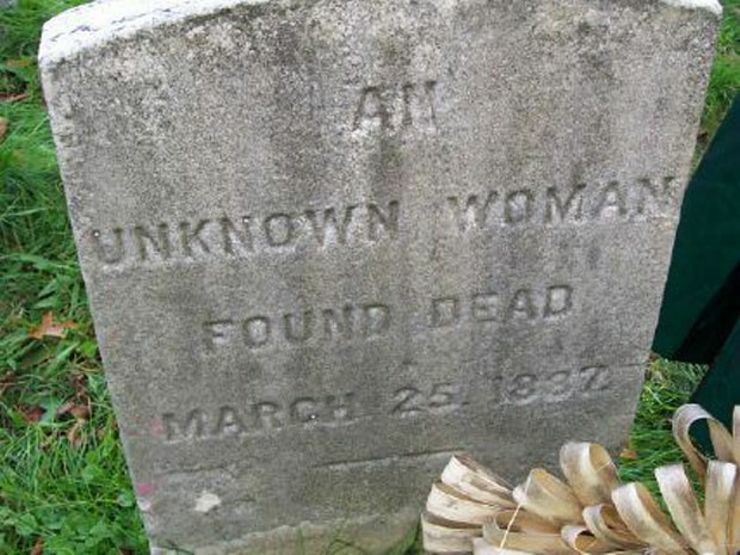 To this day, exactly who murdered the mysterious “Victorian Woman” in Rahway, New Jersey and why, remains unknown.